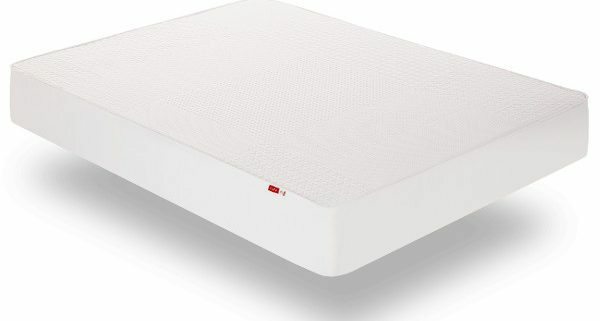 Tuck Mattress Review l Tuck Mattress Coupon | Best Personalized Mattress? Ready for something personalized? Tuck is 100% customized for you. Take the sleep survey and they build it for you. Couples an also get a dual firmness option if they like something different. Tuck uses quality foams and a great edge to edge pocketed coil unit. 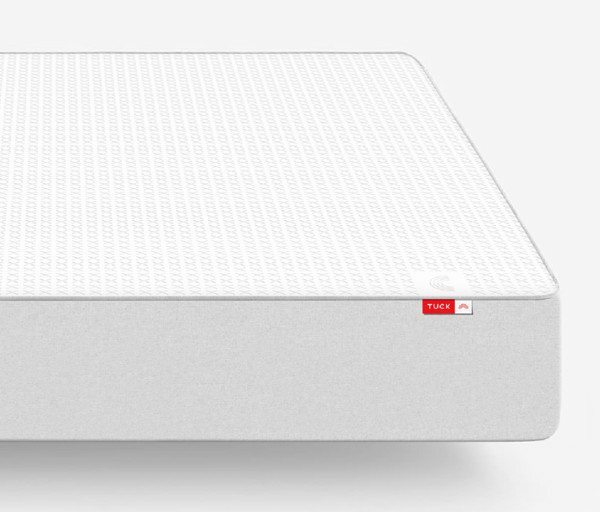 Whether you are young or old, short or tall, husky or a beanpole, Tuck will make a mattress just for you. Each and every one of us is our own person and we should celebrate this individuality. Tuck is a custom mattress. You fill out the comprehensive quiz on the website and they design the mattress just for you. It uses good quality foams, micro coils and the quantum edge to edge coil system. I enjoy and believe in this coil system as I sell it in some of my hybrids I sell at my store. Want a good bang for the buck – Tuck comes in at $990 for a queen. When you consider the amount of components that goes into Tuck Vs. the price its a really good deal from something that’s not just another “one feel fits everyone” mattress. Tuck also utilizes the direct to consumer model so you can save some money there! 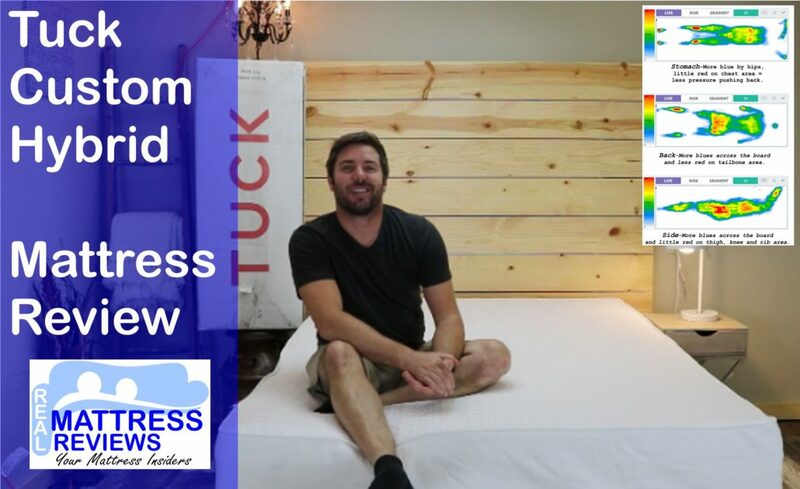 Are a couple who likes different firmness’s – Tuck can be ordered where each side has a different firmness, this is great for couples who like something different. 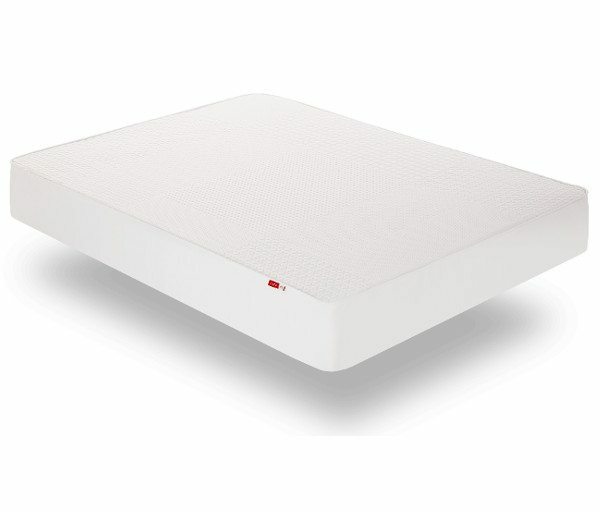 Like pressure relief paired with bounce – The combo of memory foam, latex, micro-coils and pocketed coils Tuck provides good pressure relief while maintaining great bounce. 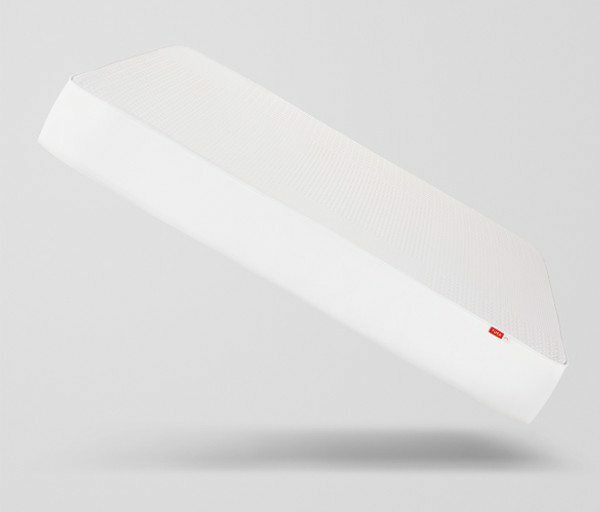 Like to sleep cool – Tuck uses copper-gel infused memory foam, aerated latex, micro-coils and pocketed coils, all of these components combined ensure the mattress has good airflow and heat dispersion. 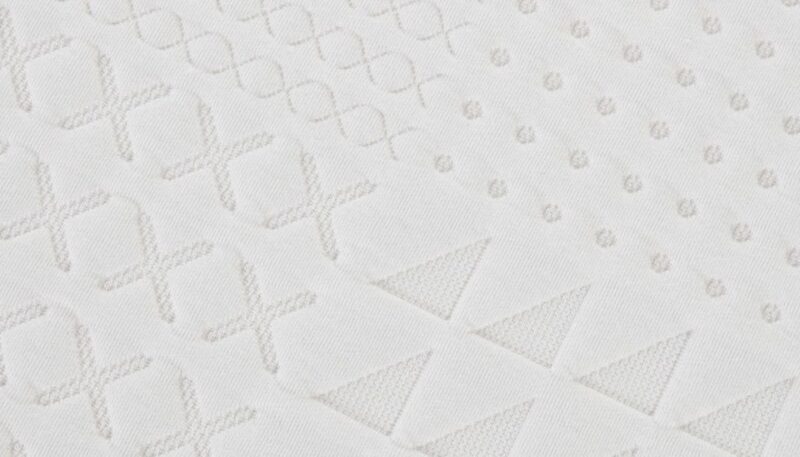 Like an eco-friendly aspect – The cover on the Tuck uses recycled plastic bottles. A queen has 40 bottles in the cover, this is a really unique and cool aspect of Tuck. 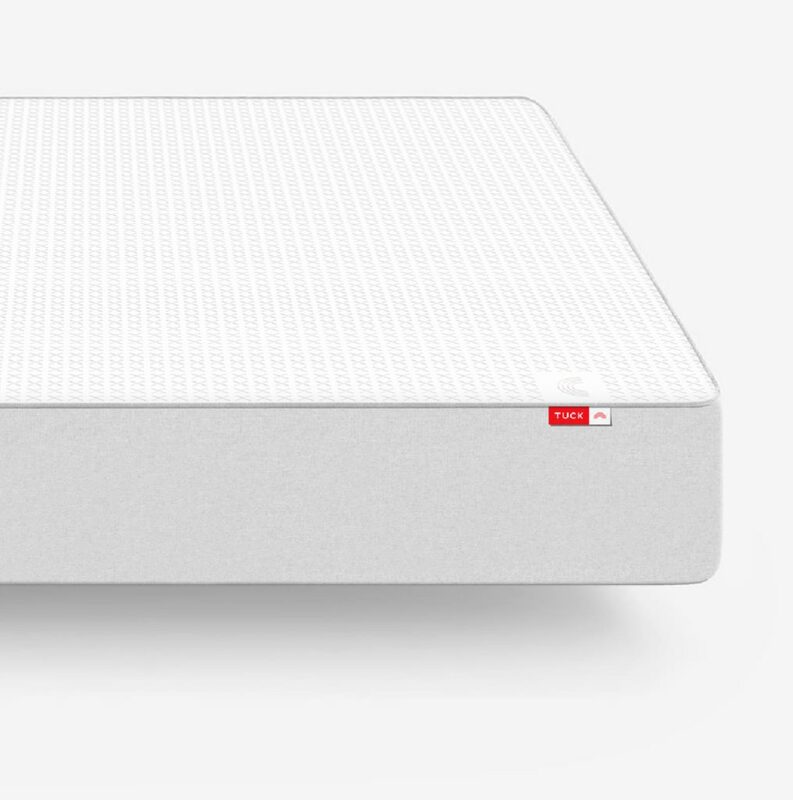 Are looking for a mattress to fit all sleeping positions – Tuck is customized to everyone. SO no matter your sleeping position, weight, etc. they will have a mattress that will work for you. 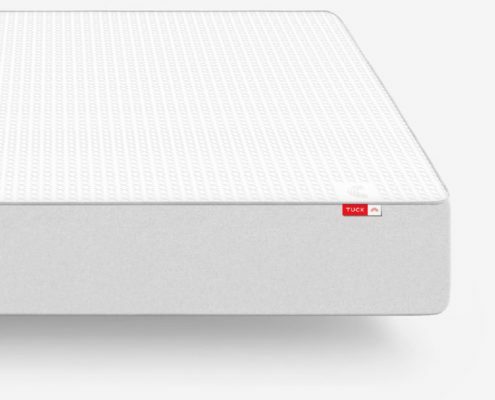 Want good edge support and durability – The edge to edge coil system this mattress uses provides great edge support and in my experience selling mattresses that use the same system, they seem to hold up well over time. 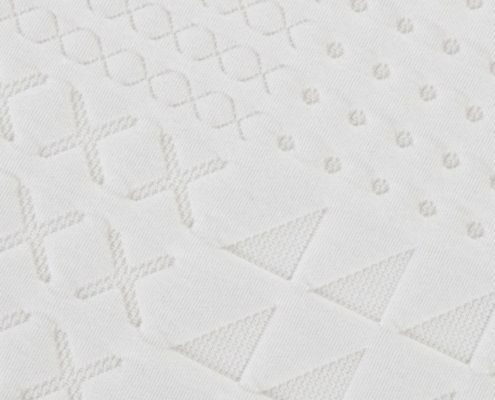 Don’t like coil/hybrid mattresses – If you are a foam mattress lover you may want to consider something without coils. 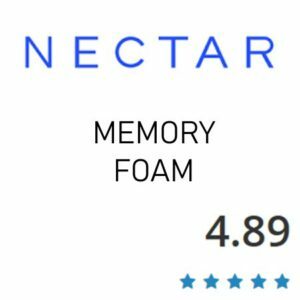 Prefer a 100% memory foam feel – Tuck has memory foam on the top layer for pressure relief but its not a true all foam memory foam feel you will find on some memory foam mattresses. Tuck’s cover is constructed from a mixture of rayon and polyester, with a built-in cooling agent. 30% of the fabric used in these materials is Repreve™, a yarn that is entirely composed of recycled water bottles. Each queen-sized cover consists of roughly 40 water bottles. Pocketed Coils – 1,037 six-inch coils. Edge to edge. Tuck’s cover is very unique. It is constructed from a mixture of rayon and polyester, with a built-in cooling agent. 30% of the fabric used in these materials is Repreve™, a yarn that is entirely composed of recycled water bottles. Each queen-sized cover consists of roughly 40 water bottles. Tuck will work great on any solid surface. The floor, platform slats, boxspring/foundation or an adjustable base. We really liked the Tuck Mattress. 1st of all I liked that it is not another 10″ mattress. They have a thicker build and the mattress was heavier than many which generally mean more durability. 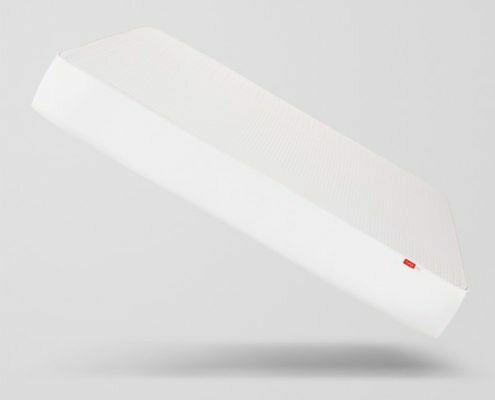 The Tuck Mattress impressed me for the following reasons. A.) We really enjoyed the whole order process. Once we got the mattress I was surprised at the weight. It was heavy and as a store owner this means to me that the mattress uses good materials and that generally translates into longevity. B.) The two firmness options were certainly different in feel. We didn’t even order the most extremes (softest and firmest) so it was nice to see they were actually different feels. This is such a great option for couples. C.) It worked well in all sleeping positions. You can basically cover anything since it can be customized. 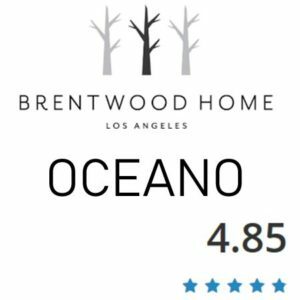 D.) This is the best quality custom mattress we have seen to date. As new companies come out many are “one upping” the competition and it shows here. E.) The fact that 40 bottles go into a queen cover is super cool. My family vacations in Mexico every winter for Christmas, where we stay there are parts of the un-kept beaches outside of town that have so much plastic its crazy, this made me think of that and how great the concept is to recycle all that trash into something useful. I really liked the Tuck as well. From the ordering process to the performance. A.) The fact that its custom, not another “one feel fits everyone” mattress. B.) The customization that’s available on each side is amazing. We like different firmness’s so this feature is awesome. 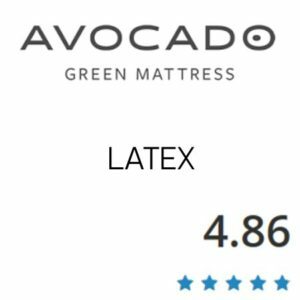 Compared to other custom mattresses we have reviewed this one has more features and the overall build quality were above average. C.) the overall performance, cooling, bounce, pressure relief, comfort and customization make this a great choice. D.) Like Ross, I thought the cover story with recycled bottles is a great touch and good for the environment. Tuck slept cool for both of us. To fend against over heating Tuck uses Copper-Gel Infused Memory Foam, aerated latex, micr-coils and pocked coils. Generally latex sleeps cool, the copper gel memory foam dissipates heat well and the coils systems allow for better airflow than a foam core or layer of foam will. You should not have a problem overheating on Tuck. Although we didn’t film the Tuck on a base you can be sure it will work fantastic on an adjustable base. Shipping – free shipping, it arrives compressed in a box. Typically 4-10 business days. Discounts – Use our link above for the best price at checkout. Bill Fish is the owner. Bill has been an entrepreneur in the online space for over 15 years, and he’s been fanatic about researching the sleep space for the last three. Meeting with countless manufacturers, sleep specialists, math professors, and other experts finally culminated in the launching of Tuck. The only drawback of this experience is that it’s now difficult for Bill to show up to work on time because he doesn’t want to get out of his Tuck bed. Bill attended Xavier University where he captained the baseball team, and he currently lives in Cincinnati with his wife and two boys.